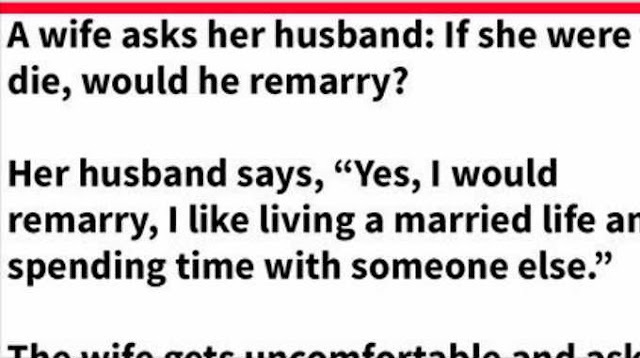 A WIFE ASKS HER HUSBAND: IF SHE WERE TO DIE, WOULD HE REMARRY? He walked right into that one! How did you like this joke? Feel free to like and share and let us know what you think in the Facebook comments!